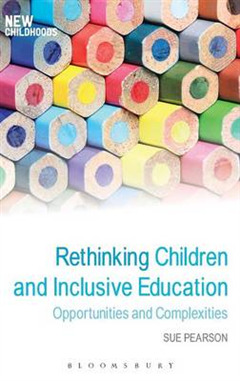 Rethinking Children and Inclusive Education examines attitudes towards, and experiences of, children's marginalization and inclusion. 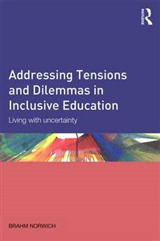 Sue Pearson draws on a wide range of thought, research and practice from different fields and countries to debate, challenge and reappraise long held beliefs, attitudes and ways of working and living with children with differing needs and learning challenges. 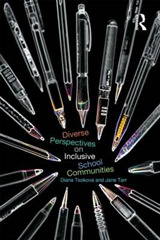 This book adopts a broad view of inclusive education that embraces all, with examples mainly but not exclusively related to special educational needs; takes a nuanced perspective which goes beyond reductionist debates about placement; and gives attention to the wider educational and social contexts that envelop schools and those that follow schooling. 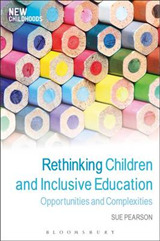 Throughout, Rethinking Children and Inclusive Education acknowledges some of the tensions, contradictions and overlaps in policies and practices by exploring a variety of UK and international sources. 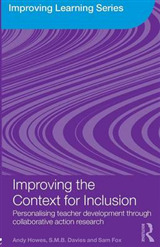 Making an original contribution to current debates, the text emphasises research that adopts a socio-cultural/ecological perspective alongside that which focuses on child factors, including participatory or emancipatory research, and highlights the links between principles, research, policies and practices. 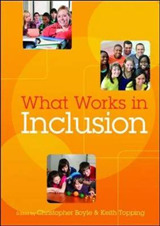 Including extensive examples of research, practical activities, key points and guidance on further reading, Rethinking Children and Inclusive Education is essential reading for all those studying childhood at undergraduate and graduate level and of great interest to those working with children in any field.